brandflakesforbreakfast: tony is back... sort of. tony is back... sort of. Tony the Tiger is back! Well, not officially, but it's good to see him again. The spoof site tonyisback.com brings the big, lovable, sugar-hyped tiger to meet up with some of the kids that were supposedly in his commercials 30 years ago. 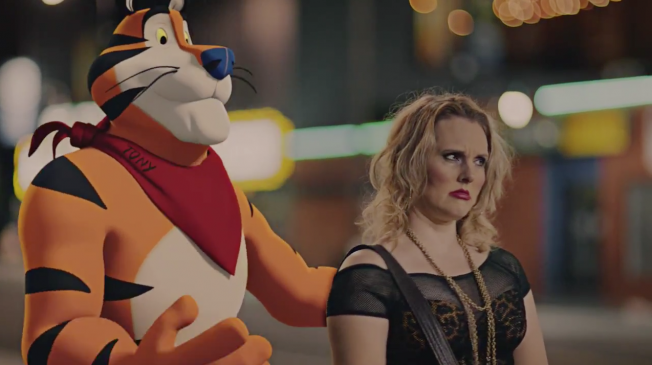 Kellogg's is not amused. Is the site going to make it all the way, or will they be getting a letter from the Big Breakfast lawyers?